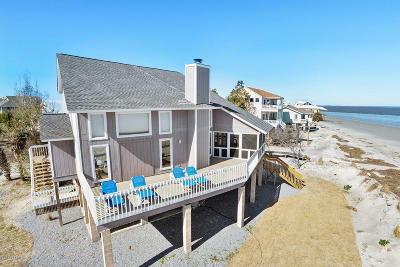 Wonderful beachfront opportunity on the private island of Harbor Island SC. Three bedrooms, two baths, and approximately 1818 square feet of enjoyable living space. Breathtaking ocean views, and only steps to the water from the private boardwalk. Complete with fireplace, gorgeous hardwood floors, soaring ceilings, screened porch, and open deck to take in the fresh airand water views. Great for a permanent residence, second home, or rental. © 2019 Beaufort County Association of Realtors. All rights reserved. Information deemed to be reliable but not guaranteed. The data relating to real estate for sale on this website comes from Beaufort County Association of Realtors and the Broker Reciprocity Program.sm. Real estate listings held by brokerage firms other than Century 21 Carolina Realty Inc are marked with the BR logo and detailed information about them includes the name of the listing brokers. All measurements and all calculations of area (i.e., Sq Ft and Acreage) are approximate. Listing broker has attempted to offer accurate data, but buyers are advised to confirm all items. Information last updated on 2019-04-21.